At the Centeno-Schultz Clinic accuracy is a cornerstone of our practice. Accordingly we perform all injections under either x-ray or MSK ultrasound guidance. The Anterior and Posterior Cruciate ligaments (ACL and PCL) are critical stabilizers of the knee. LL is a 35 y/o athletic male from Indonesia who sustained tears into both the ACL and PCL and rejected traditional surgery. Today we injected bone marrow derived stem cells into both ligaments with precision utilizing x-ray guidance. 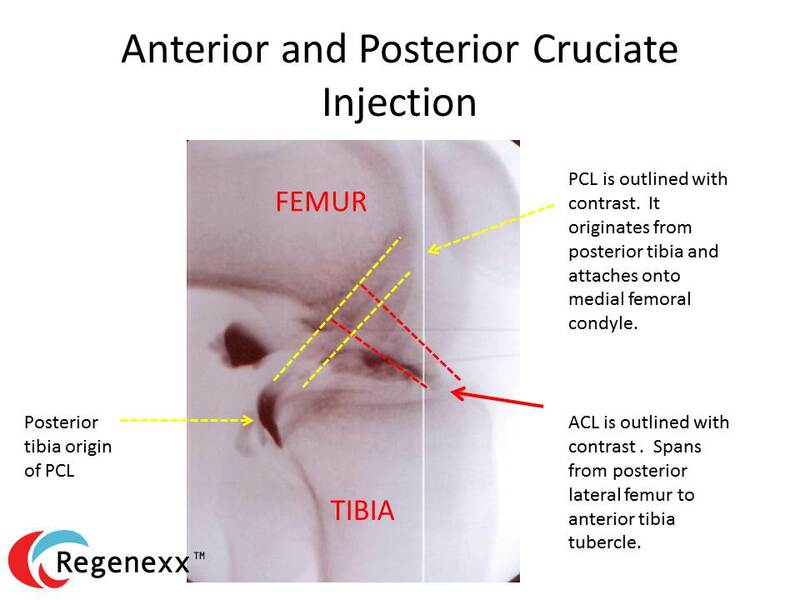 Below is the image demonstrating the injection of contrast into both the ACL and PCL. a small amount of contrast is injected prior to the stem cells to confirm accurate needle placement. The PCL is outlined in yellow whereas the ACL is in red.